Zauschnerias, the so-called California fuchsias, have long been known and grown by the horticultural cognoscenti of the world. Who can resist their late summer charms? Just like that last fling of summer vacation before heading back to the staid life at home, zauschnerias provide a zesty zing that makes your garden sing until the cold and rain of winter silence them—at least until next year. California’s rich aestival flora is little known to most gardeners. Countless natives form a wondrous, late-season, golden crescendo before the raindriven carpet of green flows over the winter landscape. Nearly all of these late-summer and fallblooming plants have yet to make their debut in our gardens, although such stellar plants as goldenbush (Ericameria cuneata, E. parishii), rabbit-brush (Chrysothamnus nauseosus), scale-broom (Lepidospartum squamatum), and a never-ending supply of buckwheats (Eriogonum species) are certainly deserving of a place of honor. The major exception, in both color and garden presence, indeed the neplus ultra of this late-season floral extravaganza, is California fuchsia. Taxonomically speaking, they currently reside in the genus Epilobium, but these hummingbird-pollinated, late-summer to fallblooming, red-orange beauties form a distinct subset in that genus and are still readily known and sold under the generic epithet Zauschneria, which is much more fun to say—and unforgettable once heard. 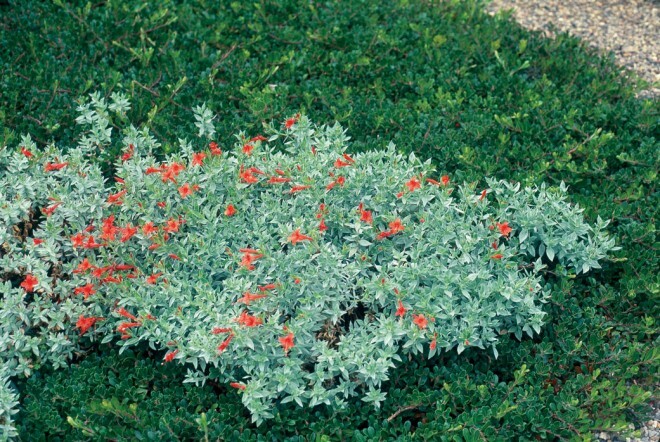 (Why grow a mere “Epilobium” when you could be growing something as dashing as “Zauschneria?”) Taxonomic issues aside, zauschnerias are an especially diverse lot. Just how many kinds of Zauschneria are there? Depending upon whom you read, ask, or listen to, there are as few as two or as many as fifteen different taxa—plus over fifty named cultivars (and counting); nearly all of them can be found in West Coast gardens and nurseries if you undertake a serious search. They range in size from three inches to four feet (rarely larger), and can be diminutive tufted sprites, rambunctious groundcovers, low-growing perennials, woody sub-shrubs, or vertical accents. You might be tempted to ask why their flowers appear so late in the year. All the better to feed the hummingbirds on their south-bound migration to their winter paradise in the Sonoran deserts of the United States and Mexico (not unlike their human “snowbird” counterparts), and to the tropics beyond. For a hummingbird-pollinated plant, zauschnerias are surprisingly attractive to bees in our gardens. The long, narrow, tubular flowers are built for birds, not for the bees; the latter are excluded from the usual entry. However, bees have figured out that there is a rich nectar source at the base of the flowers. They land on the exterior of the bloom, chew a hole through the tube near its base, and then sip the nectar without providing any pollination service to the plant. In the rock garden, the smaller selections of Zauschneria, like ‘Select Mattole’, ‘Brilliant Smith’, and ‘Everett’s Choice’, are at their best; the first two are dense, low-growing tufts of silver foliage (‘Select Mattole’) or bright green foliage (‘Brilliant Smith’). ‘Brilliant Smith’ also has the largest individual blossoms of any California fuchsia. ‘Everett’s Choice’ is splendid: a study in soft gray, it cascades amongst boulders and flows effortlessly over low walls. In container gardens, zauschnerias eagerly display their abundant flowers late in the season, when most native plants are dormant. The flowers, alone, are reason enough to grow them, but many of the named cultivars are equally impressive for distinctive foliage that can be enjoyed for months. 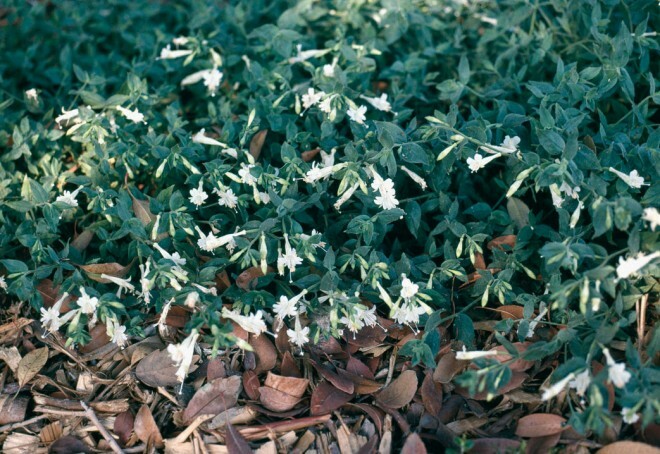 The larger selections, such as ‘Catalina’, ‘Route 66’, and Z. arizonica, can be used as seasonal hedges. The woodiest California fuchsias (‘Hurricane Point’, ‘El Tigre’, and ‘Kristin Jacob’) can be used as short all-season hedges; think of them as a potential substitute for boxwoods (Buxus spp. ), but be aware that they will require just as much pruning. Zauschnerias are readily at home in the mixed border. The smaller sorts knit together various annuals and perennials toward the front of a planting, while the larger selections punctuate otherwise open spaces between evergreen shrubs such as manzanitas (Arcto-staphylos spp. ), toyons (Heteromeles arbutifolia), and Ceanothus. California fuchsias harmonize well with our native sages (Salvia spp. ), buckwheats (Eriogonum spp. ), and pitcher sages (Lepechinia spp.). The gray-leafed selections provide a lively contrast to the bright shiny green foliage of low-growing ceanothus. Meadow gardens would be seasonally bereft without the fiery red orange blossoms to set off the seasonal splendor of our native grasses and sedges. Some of my favorite California fuchsia companions in these settings are deer grass (Muhlenbergia rigens), needle grasses (Nassella spp. ), ‘Canyon Prince’ wild ryegrass (Leymus condensatus ‘Canyon Prince’), aster (Aster chilensis), and milkweeds (Asclepias spp.). 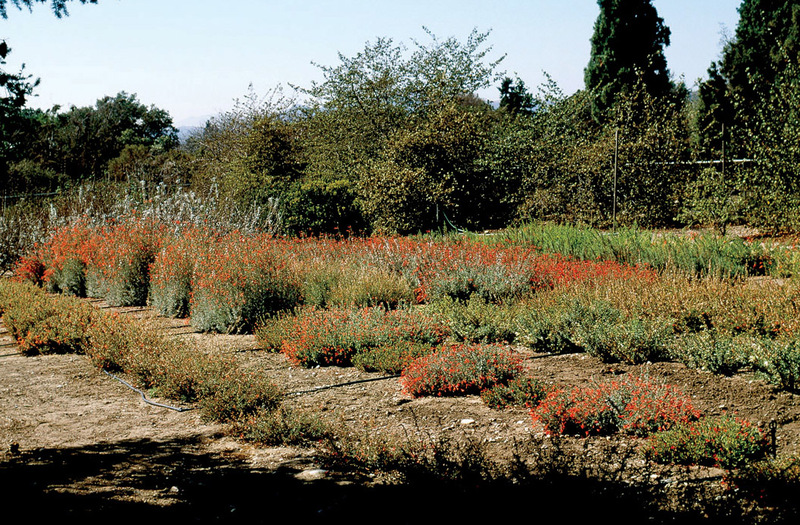 At Rancho Santa Ana Botanic Garden (RSABG) in Claremont, California, a horticultural trial comparing thirty-two different clones (530 individual plants) of Zauschneria was conducted from 2002 to 2005. Half of the plants were planted on heavy clay loam soils; the other half, in well-drained sandy loam soils. Half of each planting was watered with drip irrigation and half received overhead irrigation. Plants were also subjected to various pinching and pruning regimens, and were monitored for pest and disease problems as well as for flower production. A different part of the trial developed standards for nursery propagation and production. 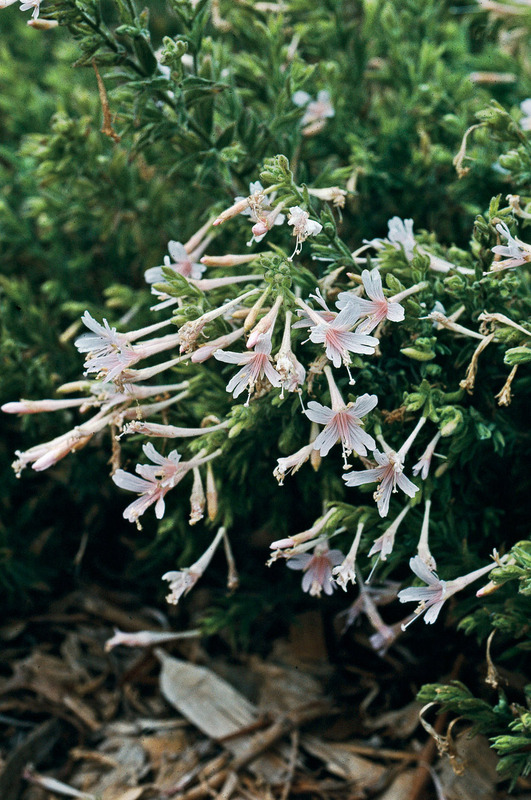 California fuchsias prefer to be grown in well-drained soils, although many will thrive in heavy soils as long as they are not overly wet. Full sun exposure is generally best, but a number of the plants (typically those from farther north, or from higher elevations) grow better in partial shade, particularly in the afternoon. A few cultivars that prefer partial shade in inland Southern California are ‘Alba’, ‘Brilliant Smith’, ‘Dublin’, ‘Everett’s Choice’, ‘Hurricane Point’, and ‘Summer Snow’. Zauschnerias should be planted in fall in most of California. They tend to be brittle and are easily broken if handled roughly. Young plants are especially vulnerable to breakage and often do not have enough reserves to resprout, so special care is required when either moving or planting them. After they are established in the garden, most plants recover easily from such damage. Our experiments with water delivery systems were inconclusive. In the first year of the trial, no significant differences were noted between drip and overhead irrigation (other than the fact that ‘Catalina’, when in full bloom, was adversely affected by overhead irrigation, as the wet flowering stems flopped to the ground and the flowers were muddied). During the second year, a significant number of the plants growing in heavy soil with drip irrigation died. Further testing would be needed to determine if this is an instance of cause and effect, or a random matter of chance. 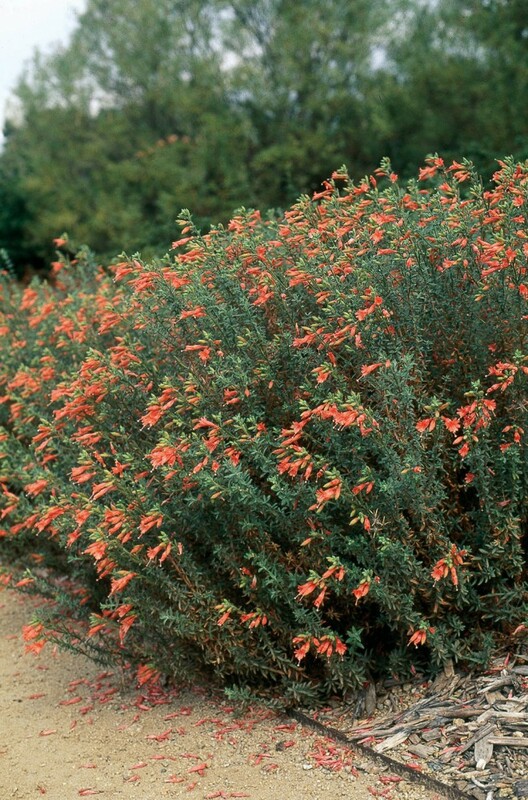 Any California fuchsia that is expected to grow taller than eighteen inches should be pinched or lightly sheared during late spring. This light shearing is rarely necessary more than once, but will result in more side shoots that will enable the plant to hold itself together when it produces its heavy load of late summer and fall blossoms. Tall, unpinched or unsheared plants will look perfectly fine until they bloom, when the weight of the blossoms will cause the plants to flop open, revealing an abundance of unattractive dried leaves and bare stems. 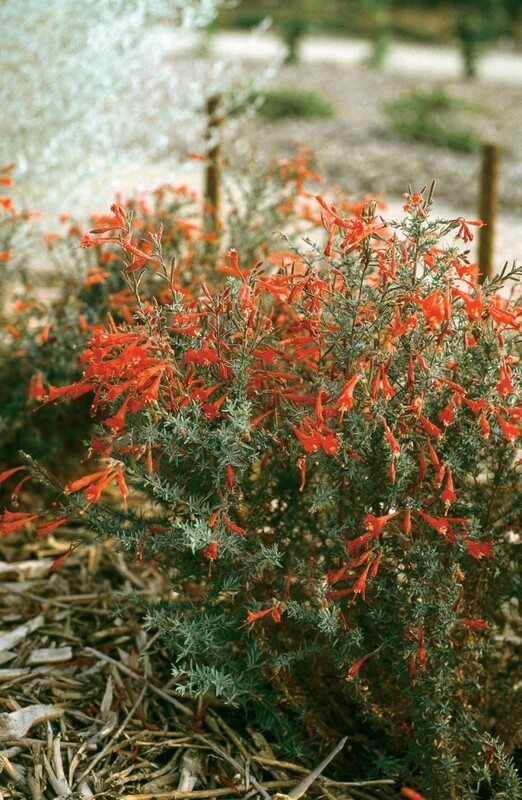 For their best appearance and performance, established California fuchsia plants should be cut back hard every winter, but not until they have been established through one or two summers. This annual hard pruning should be done after the plants have finished flowering and before new growth appears. At this time, plants should be cut to the ground, leaving stubs about one inch long. When pruning, take care to avoid breaking off the tender young shoots and buds that may already be sprouting from the base of each plant. If plants do not receive this annual pruning, new growth will appear at the tips of the existing stems as well as from the base of the plants; however, the new basal shoots often die from lack of sunlight caused by excessive shading from both dead and live material above. 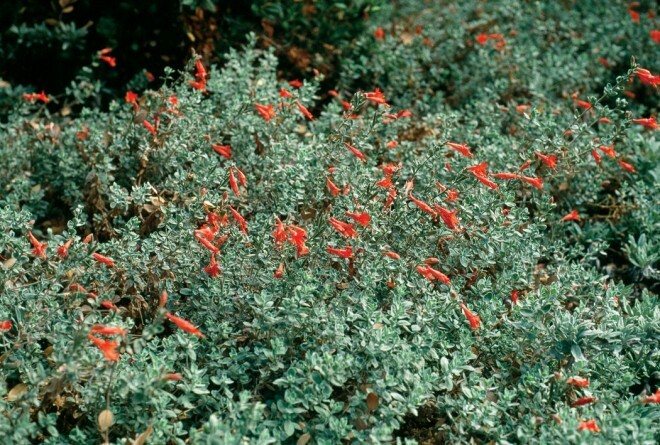 This unfortunate attribute helped establish California fuchsia’s reputation as an unkempt, wildlooking plant. Exceptions to the “hard annual pruning” rule include most of the plants with very narrow, bunched leaves and thicker, woodier stems (‘Hurricane Point’, ‘El Tigre’, and ‘Kristin Jacob’). These cultivars are best grown with light pinching and pruning as needed rather than an annual hard cutting back. They may be pruned hard on an occasional basis, but they often take much longer to recover. Plants that are heavily pruned on an annual basis and those that are growing in infertile soils should be fertilized every year or two, about a month or so after they have been cut back and after new growth has begun to emerge. Apply the fertilizer at one quarter to one-third the rate recommended on the label. In the Pacific Northwest, and at higher elevations in California, where winters are colder and wetter, a few tips should enhance your success with zauschnerias. Plant California fuchsias in late spring or early summer (not in the fall as we do in California). Avoid planting them on flat ground, as they will likely rot in such locations during wet winters. Rich soils may make your plants grow too quickly, shortening their lives. New plantings will require regular watering for at least a month or so; then, adjust the watering interval according to your site conditions: relatively more frequent irrigation on well-drained soils, less irrigation on heavy soils. In cold areas, site the plants in sun pockets where they will benefit from retained heat. In wetter climates, a well-drained soil becomes much more important, as soil that remains soggy will assuredly rot a California fuchsia’s root system. In these climates, good air circulation is also important. Another major key for success is to avoid pruning your plants until spring (March or later, depending upon your site conditions). If the old growth is removed too early, the tender new growth can be killed by a late freeze, possibly resulting in the death of the entire plant. Since the plant’s new growth will be present at the time you are removing last year’s growth, prune carefully to avoid breaking off the brittle, succulent, new shoots. We never had serious problems with our California fuchsias until we started growing them in large numbers for this trial. Large-scale plantings became magnets for a number of pests that normally are of little concern in smaller mixed plantings. Leafhoppers are the most problematic, as their population soars from summer through fall. These sucking insects initially cause a brown speckling of the leaves; if not controlled, they can kill the plants. They seem to prefer plants of ‘Alba’, ‘Brilliant Smith’, ‘Calistoga’, ‘Dublin’, ‘Everett’s Choice’, ‘Hurricane Point’, ‘Sierra Salmon’, ‘Splendens’, and ‘Summer Snow’; many of these plants prefer to be grown in partial shade in inland Southern California gardens (although they were grown in full sun for the trial). ‘Catalina’, ‘Bowman’s #1’, ‘John Bixby’, ‘Mark West’, and ‘Route 66’ were minimally affected by leafhoppers. We have repeatedly tried, and failed, to control these pests with horticultural oils but eventually resorted to chemical controls, which proved successful. Tomato hornworms and caterpillars of white-lined sphinx moths can be damaging to zauschnerias from late spring to summer. An infestation of these large caterpillars can result in total defoliation, though the presence of a few (especially those of the whitelined sphinx moth) can be easily tolerated. Hand picking of unwanted caterpillars at dusk is the easiest way to control them. The most difficult pests to deal with are root mealybugs, as these sucking pests attach themselves to the roots of the plants and are seldom noticed until a plant dies or is removed for poor performance. Carefully check your plant’s root system when you are planting it, and do not plant an infected one in your garden. If you do discover this pest in a plant that you were going to install, either throw the plant away, or keep it in a pot and treat it with an appropriate systemic pesticide. Monitor it regularly (by tipping it out of its container and inspecting the roots), and do not plant it until you are certain that the mealybugs have been eliminated. The ubiquitous Argentine ants will spread root mealybugs to other plants, so be sure to isolate an infected plant from these ants as well. I am not a fan of typical seed-grown California fuchsias, primarily because such plants tend to be overly aggressive in the garden. 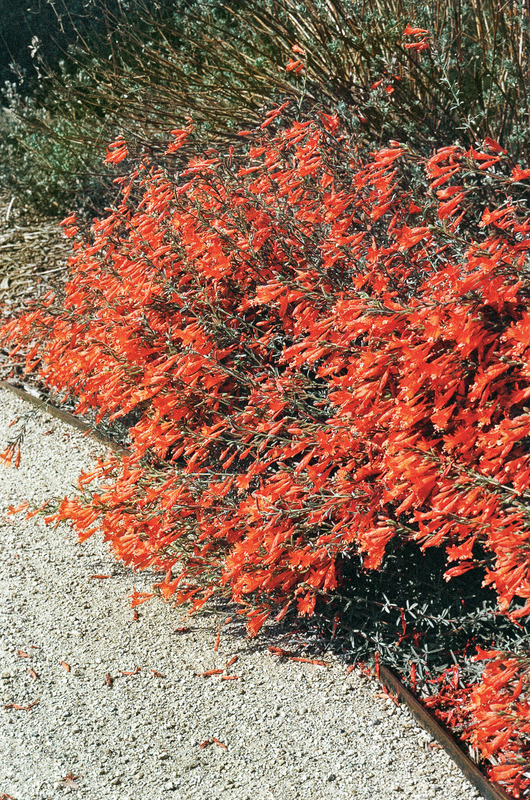 The behavior of seed-grown plants has lead to California fuchsia’s reputation as a rogue—even a thug—in some gardens. Seed-grown plants usually spread vigorously by underground runners, and most of them freely reproduce from seed. If you, or your garden, do not want to be traumatized by too many zauschnerias, plant those selections that are less aggressive when grown under your garden’s conditions. For me, here in inland Southern California, that means nearly any of the cutting-grown cultivars discussed in this article, with the exception of ‘Everett’s Choice’ and ‘Splendens’, both of which are rambunctious in cultivation. The flowers of California fuchsias open from the bottom of an inflorescence to the top; plants with taller inflorescences may still be in bloom at the stem tips when the first seed pods are ripening at the bottom. Seeds are produced in abundance as plants end their flowering cycle, just in time for fall and winter rains to germinate them. The tiny seeds are surrounded by Einstein-like white hairs, which enable them to float about on the wind. To avoid seed production, remove flowering stems before the first seed pods ripen; even if a plant is still flowering in late fall or early winter, you may wish to give it its annual hard cutting back at this time to halt the production of seeds. Weed out all seedlings as soon as they are noted, as these often overwhelm plants that you actually want. Sometimes seedlings are difficult to distinguish from the basal shoot of a desired plant. Monitor such growth regularly and take ruthless action to completely grub out seedlings, as soon as they are recognized as such, or they may reappear at a later time from remaining bits of roots and underground shoots. Be aware that foliage on young or emerging shoots of California fuchsias can vary dramatically from that of mature growth. ‘John Bixby’ is a 2002 introduction from Rancho Santa Ana Botanic Garden. This plant originated as a chance seedling of ‘Everett’s Choice’; the other parent may have been the nearby ‘Catalina’. Plants quickly develop a pleasing, dense, rounded form reaching twelve to eighteen inches in height and two to three feet wide. All stems arch slightly outward from the center of the plant and carry especially vivid red orange flowers that are markedly flared. ‘Bowman’s #1’ was selected by Robert Bowman and introduced by Carman’s Nursery in the 1980s. Originally, there were two different clones (#1 and #2), but it seems that these have become confused in the nursery trade, as some are sold simply as ‘Bowman’ with no further information. The original ‘Bowman’s #1’ has dense foliage, nearly linear gray green leaves, and an upright (not spreading) habit. The attractive flowers are large and tend to lie on the orange side of the spectrum. Plants can reach heights of two feet or more, and are generally taller than they are wide. ‘Catalina’ was selected in 1987 but named and introduced in 1990 by Tree of Life Nursery of San Juan Capistrano. The original collection was made from Middle Ranch on Santa Catalina Island. 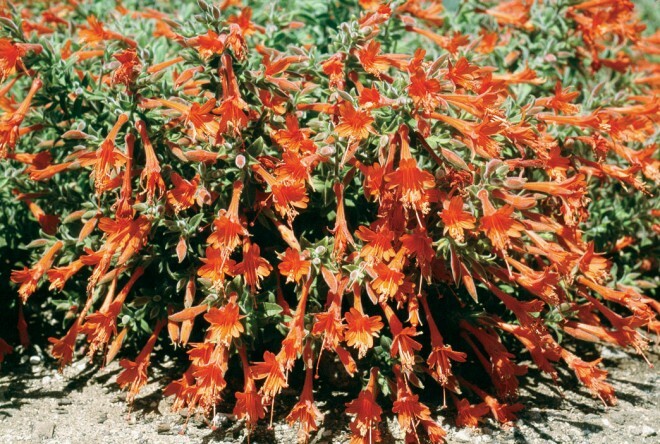 This is, without doubt, the largest of all the named forms of California fuchsia. If given support, and not cut back, this plant may reach at least six feet high; it is most often seen at two to three feet tall with a slightly narrower spread. Narrowly ovate leaves are covered with dense whitish hairs that give the plant an attractive white gray cast. Plants are both vigorous and attractive over a long season. This selection tends to be long-lived and durable in the garden. ‘Splendens’ is an old form that is often seedgrown (so it can be quite variable); it is just as often grown from cuttings, and the plants in the trial were grown from cuttings of a plant obtained from Seedhunt Nursery in Watson-ville. This form dates back to at least 1927 as an English cultivar. It is usually low growing, extremely vigorous, and has grayish foliage. Young plants have a sprawling, often gawky habit, but fill in quickly. Stiff flowering stems carry many blossoms. There was a tie for fifth place between ‘Hurricane Point’ and ‘Select Mattole’, both selected, named, and introduced by the UC Santa Cruz Arboretum. ‘Hurricane Point’ was collected in 1977 by Ray Collett from the Big Sur coast of Monterey County. This is one of the more woody selections with narrow, linear, light green leaves. ‘Select Mattole’ was found by Collett and Brett Hall along the Mattole River in Humboldt County in 1982. 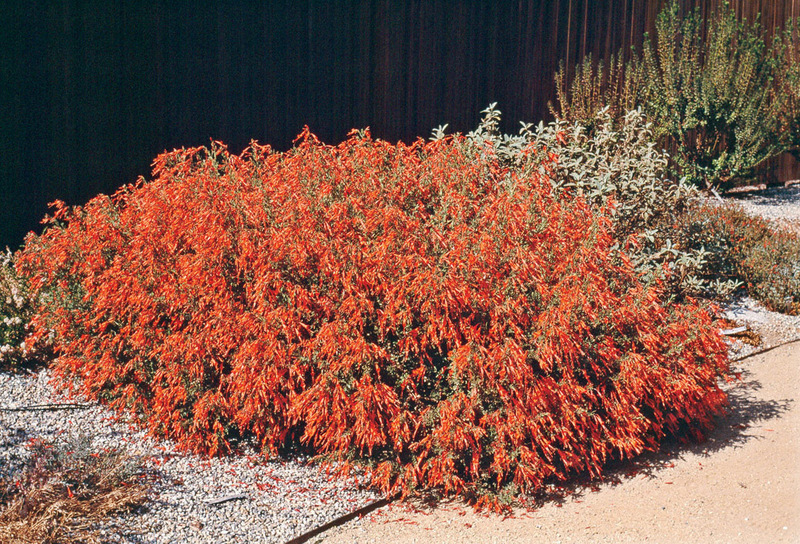 It is one of the most distinctive of all California fuchsias with its silver wide-triangular leaves, dense cushion-like habit, and large orange red flowers. It is one of the best cultivars available today. ‘Solidarity Pink’ is noteworthy for its pink flowers, but can be disappointing otherwise. Plants typically reach eight to fifteen inches tall, and have, what can most charitably be termed, khaki olive-colored foliage. In my experience, this clone is one of the last to recover from its winter pruning. Our planting has thrived in full hot sun in heavy clay soil here in interior Southern California for more than fifteen years, confounding many who thought it prefers partial shade. This is another long-lived and durable clone, originally found by Daniel Campbell of the UC Berkeley Botanical Garden in 1976 at the Solidarity Mining claim in Yuba County, outside Comptonville. ‘Kristin Jacob’ also has pink flowers, but on a much better looking, though less vigorous, plant. It resembles ‘Hurricane Point’ (woodier stems, linear gray leaves) with pink flowers. This delicate plant is seldom grown, as it is less free-flowering in the garden and more difficult to propagate. Nonetheless, it is well worth growing in either a decorative pot or in a rock garden situation where its beauty can be fully appreciated. Expect plants to reach one foot tall and wide. ‘Sierra Salmon’ is an unusual plant in many respects. The flowers are a pastel salmon color, unlike that of any other zauschneria. Plants form dense clumps of stiff erect stems about a foot tall. The stems of this clone remain erect even when they are in full bloom—a notable and desirable characteristic. The narrow leaves are a unique blue green color. This plant does not flower every year here in Southern California, perhaps because it prefers colder winters. Of the many other cultivars of California fuchsia, a few distinctive ones are worth trying in your garden. ‘Calistoga’ has the longest and widest leaves of any Zauschneria. Plants grown in fertile soils will have leaves that are nearly identical in size to those of Salvia ‘Bee’s Bliss’—a huge leaf for a Zauschneria! These two plants can be effective companions with fairly uniform foliage, but with two entirely different flowers at different times of the year. 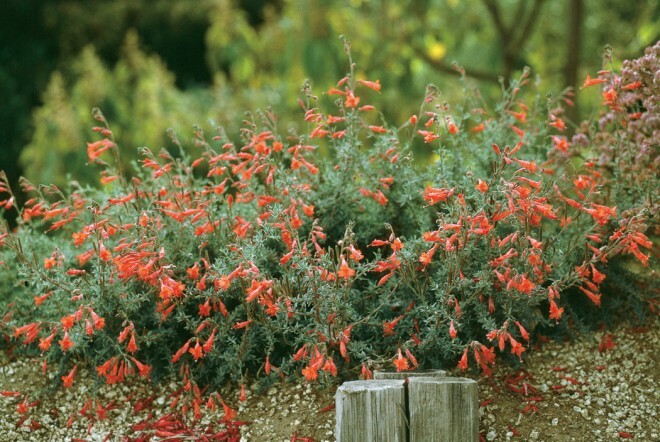 ‘Calistoga’ is not a heavy bloomer, and its flowers tend to be both smaller and darker than most other California fuchsias. It was selected from the wild in 1994 by Phil Van Soelen of California Flora Nursery in Fulton. ‘Cloverdale’ was, for me, the most surprising plant in the trial. I had never been particularly fond of it until then. The softly hairy, viscid leaves are nearly triangular in shape and often a pale yellow green. Running your hands through the plant will leave them wet, but not sticky—the definition of viscid. This fast growing clone forms a large rounded mound of outward arching stems tipped with wide-mouthed trumpets of orange red. Plants may reach two feet tall and three feet wide. This was the plant that everyone wanted after observing its first year performance in the trial. ‘Clover-dale’ was selected by Collett and Hall of the UC Santa Cruz Arboretum from along the Russian River in 1982. ‘Route 66’ is an exceptional plant; when it is performing well, it is without equal. But it does have its problems. This is always the last Zauschneria to flower, often reaching its zenith in late October or early November. This is fine for Southern California gardens, but, in cooler regions, an early hard frost may be devastating. Selected, named, and introduced in 1996 by Rancho Santa Ana Botanic Garden, a single plant may reach thirty to thirty-six inches tall and up to four feet wide. Unlike the other tall clones, ‘Route 66’ does not require pinching as it naturally produces numerous side branches. Since zauschnerias produce terminal flower clusters, more branches mean a lot more flowers. The rather broad, triangular, hairy, leaves of this clone tend to be mid- to bright green. The profusion of orange red flowers on a well-grown specimen is unmatched in the genus. 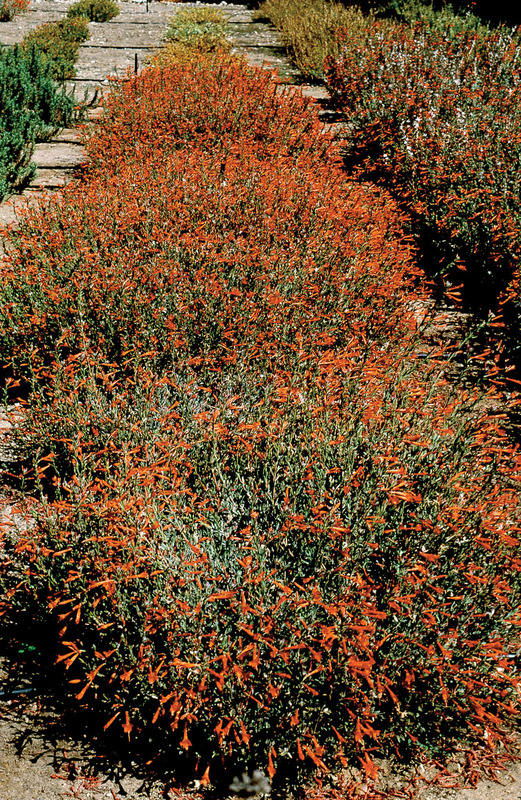 The author wishes to thank the Stanley Smith Horticultural Trust for funding much of this trial, and Paul Bonine of Xera Plants in Oregon for his insights on growing California fuchsias in the Pacific Northwest.